I had pain and discomfort in both hips for several years, and even after rehab with a few different PT’s, I was not feeling any relief. Kelly was able to diagnose my problem and taught me about my “core”, which is now a part of my everyday life. She taught me strengthening and stretching exercises which have helped me immensely. My quality of life, as well as my strength and flexibility, have greatly improved and I am now able to sleep through the night without pain. I would highly recommend Kelly for any kind of PT and pain management. She spends time with you without interruption and takes a personnel interest in your wellbeing. She is friendly, knowledgeable and caring and I am so happy to have found her. I know I will seek Kelly out for any future issues I might have, and can highly recommend a consultation with Kelly to anyone seeking relief. I had heel and foot pain. Kelly performed an extensive checklist to determine the course to be taken, and thoroughly explained each step and why she was doing these steps. Kelly has a great desire and plan to assist people with their structural issues. She found additional areas needing treatment by addressing all areas, she helped all symptoms. I would highly recommend Kelly; she has a caring approach and is very thorough. I had a left knee arthroscopy for what was thought to be a torn meniscus. I had months of rehab with a different PT practice, but was still having some pain, and limited range of motion. Kelly treats holistically, taking into account the entire person, life stressors, and after completing a comprehensive assessment she created a wonderful, very personalized treatment plan that worked wonders where my previous PT there-ex had not. She decreased my pain, increased range of motion, and increased my strength bilaterally. I wholeheartedly recommend Kelly. She is professional, knowledgeable, thorough, treats the whole person and not just an isolated joint/muscle, and she gets results which exceeded my hopes. I had severe arthrofibrosis of the left knee post total knee replacement. I had the inability to walk without support. During my treatment with Kelly, I experienced a step by step strategic approach, and trial and error as my condition is rare and difficult to treat. Kelly did research, and also took an extra course specific to my condition. I experienced slow and gradual improvement with the ability to bend. I had exceptional gains in strength, and the ability to walk without support. I also got to return to work part-time. I would recommend Progressive Therapy Services to people with the most challenging conditions. As their approach, is a no non-sense approach, and all about making the most gains possible for a specific condition. I am writing this testimonial for Kelly Toler because she helped me tremendously with my fibromyalgia. When I first came to Kelly, I was trying many different treatments to help manage the huge amount of pain I was in at the time, early on in my diagnosis. I had difficulty doing the simplest things, even grocery shopping and sleeping in a comfortable position. I had given up my yoga class because I couldn't get into the simplest pose without a lot of pain. By the end of my treatment with Kelly, my pain is now well managed with ongoing exercises she provided me to continue on with at home. I am now back in yoga and am hoping to start pilates soon, as well as other physical activities I have wanted to do. On a very recent trip to California, I was actually able to walk across the Golden Gate Bridge and push my father in a wheelchair at Muir Woods!! I would never have been able to do that 6 months ago. Kelly was delightful to work with and I am very grateful for what she has done for me in my quest to manage my fibromyalgia symptoms. I highly recommend her services!! "I was experiencing lower back pain due to a golf injury. Kelly took the time to understand my symptoms and was quick to plan treatments and exercises to heal and strengthen my back. I think it really helped that she has been an athlete all her life and she can relate to how other athletic people want to approach their health issues. She has provided a stretching and strengthening routine that will improve my flexibility. She also took the time to help me understand her approach. I would highly recommend a consultation with Kelly! Her techniques and focused therapy really helped me." "I broke my ankle in three places. After 6 weeks of not being able to walk on it, I began my physical therapy at a different location. I went for 4-6 weeks but my pain was getting worse walking on it as I began to go back to work. When I saw Kelly, she said the swelling needed to be reduced and the scar tissue broken up. She worked on that for many weeks. After being treated, I am able to work a full shift without being in pain. The swelling has been reduced and I am more comfortable walking. Kelly is good at evaluating the problem you are having and coming up with a plan to tackle it. She is truly concerned about getting you to the best health you can be." "I had limited range of motion in my right arm due to a birth injury. After treatment I experienced less restriction and opening of the area as well as strengthening. By following Kelly's recommended exercises from my specific protocol, I was able to see strength in my right shoulder. I especially enjoy working with Kelly because of her wholisitic approach." "I had severe back pain due to spinal stenosis. I attempted to manage the pain through chiropractic treatments for one year prior to seeing Kelly. Those treatments were of little help. During my treatment I experienced whole body relief, not just from the constant back pain. I learned exercises to practice daily to maintain the success of the treatments. My pain has decreased immensely and is now manageable. I will continue to see her to maintain the level of success I have reached. Don’t hesitate to meet Kelly and give her the opportunity to help you. She is wonderful and I am thankful to have crossed her path." "I was dealing with general aches and pains all the time. I felt that Kelly cared about what I was saying to her about how my body was feeling. I had never experienced Reiki before. I could feel her hands move across my body without touching me. With my eyes closed, I saw colors of purple and yellow move across my sight like clouds in the sky. When she was done, I knew Kelly was gifted, my body felt renewed. I was preparing for a 2 month motorcycle trip and getting any help I could to get my body through that with as little pain as possible. Kelly did that for me. Having been in construction my whole life, pain had become a way of life. After her treatment, I had no more pain. It made the bike trip more enjoyable. If you are considering treatment with Kelly, DO IT! You have nothing to lose and tons to gain. I do not know how she does it, but she can make a difference if you let her." I was experiencing neck pain due to bulging disks in cervical spine and numbness in the shoulder radiating down my arm into my hand. During my treatment I had more freedom of movement in the neck and shoulder, less pain and I did not have to rely on pain medications at all anymore! I have very little pain now. My shoulder rarely hurts anymore. 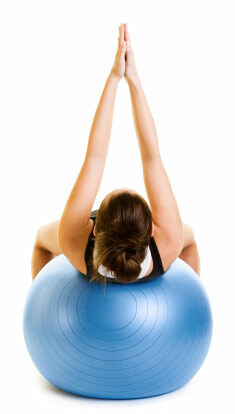 I have greater flexibility in my neck and shoulder and can do more activities. I would most definitely recommend Kelly. Kelly's treatment plans are tailored to fit each individual for their specific problem. Kelly works wonders! No other Physical Therapist has ever been able to help me with my neck pain, but Kelly did!"